We at Franknaz Collision Center pride ourselves on returning your vehicle to its optimal condition. With over 30 years experience our vehicle spray painters ensure the best possible finish. Strong partnerships with specialized professionals means only qualified hands work on your vehicle. Franknaz provides expert vehicle dent repairs using paintless and traditional methods. Franknaz has state of the art panel beating technology and extensive experience repairing all car types. 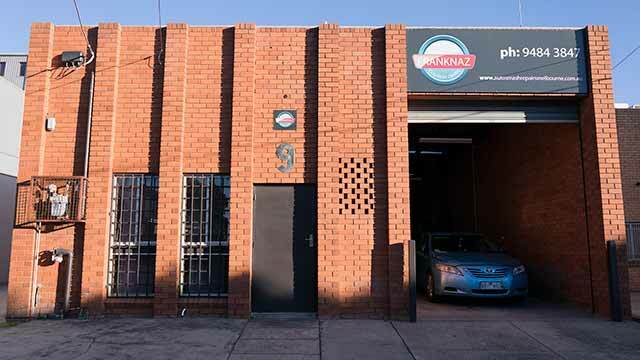 We understand it’s difficult to drop your car off and pick it up with work and school commitments, Franknaz open early to makes this easier! Franknaz collision center accepts Bank Transfer and cash payments! Franknaz believes honesty and trust build relationships, we notify you of all costs beforehand and there are no hidden fees. At every stage of the repair process you will receive 100% accurate information! We understand being without your main form of transportation is inconvenient, Franknaz Collision Center strives to provide fast, economical and high standard repairs. We also have a courtesy vehicle! Franknaz Collision Center prides itself on high quality collision repair and vehicle refinishing solutions that are also economical. Our qualified and experienced team have been operating for over 30 years and we have built a strong reputation for delivering outstanding services and quality workmanship in smash repairs and spray painting. Franknaz Collision Center provides a wide range of services, including: collision repairs for all vehicle makes, spray painting, dent repairs, restorations, panel beating, accident repairs and private repairs.